People already on a Paleo diet are well aware of the benefits of coconut and almond flour, but today, we will also reveal the advantages of the use of chestnut, cassava, and tigernut flour. Their introduction to your diet will surely bring variety and numerous benefits, even though they should not be a staple of your diet. This flour consists of ground up coconut meat following a pressing process for coconut milk. When compared to almond flour, it is richer in fiber (10 grams vs. 3 grams from a ¼ cup), and it is much more absorbent. In cooking, you will need little amounts of this flour, mixed with lots of moisture, in most cases, eggs. Moreover, it is excellent at absorbing liquid since it is rich in inulin fiber. Note that FYI – a highly soluble, highly fermentable fiber does not jive well in the case of IBS, FODMAP, or SIBO issues. Its sweet flavor makes it excellent in the preparation of muffins, pizza crust, brownies, cakes, etc. You can also use it as a coating in recipes like chicken fingers since its texture is a bit dry for baking. Almond flour is the paleo flour with the best taste, made from ground up blanched almonds. It is just perfect in recipes like cakes, muffins, waffles, and any kind of baked goods. Almonds are richer in proteins and lower in carbs than coconut oil, but they are also abundant in omega-6 PUFAs. Yet, consider the fact that 1 almond is made from 1.1 gallons of water, and most almonds in the United States originate from California, which is currently in a great draught. Chestnuts are tree nuts, so they have a starchier composition and less fat. They are akin to yam, potatoes, and plantain. It can substitute the almond flour, but the chestnut flour has a stronger, nutty taste. You can consume them baked, raw, boiled, or roasted over an open fire. Also, they contain 47mg/100g of phytic acid, compared to 1,280mg/100g in almonds and 760mg/100g in walnuts. Chestnuts are also low in carbs, 53 grams of carbs in 100, 5 of which are from fiber. Moreover, 100 grams of chestnuts also contain significant daily values: 43% vitamin C, 17% potassium, 59% manganese, 25% copper, and 25% B6. Initially, you should be aware of the fact that tigernuts are actually a root vegetable. Moreover, the flour of tigernuts has a pleasant taste, but has no strange aftertaste as in some gluten-free flours and has a 1:1 replacement ratio to wheat flour. Use tigernut milk as a dairy alternative, and whole, raw tigernuts, soaked overnight (in filtered water to soften them up), the flour is great for baked goods, as they have a semi-sweet taste. One ounce of tigernuts contains 10 grams of fiber and 19 grams of carbohydrates. Moreover, tigernuts can support the development of colon bacteria. Also, they are extremely rich in monounsaturated fats. Cassava (or Yuca) is a root vegetable, which is a staple food for half a billion people across Latin America, Asia, and Africa. You may have heard of or tried tapioca flour, which is also made from the cassava plant. Namely, it is the bleached and extracted cassava root starch which contains the fiber. This flour is used in the preparation of tapioca pudding. In most cases, except for yeast-based recipes, cassava is used in the same proportions as wheat flour. It has a neutral, smooth taste and a similar texture to wheat flour, so it is used for baked good, and its root can be mashed, fried, or boiled just like potatoes. 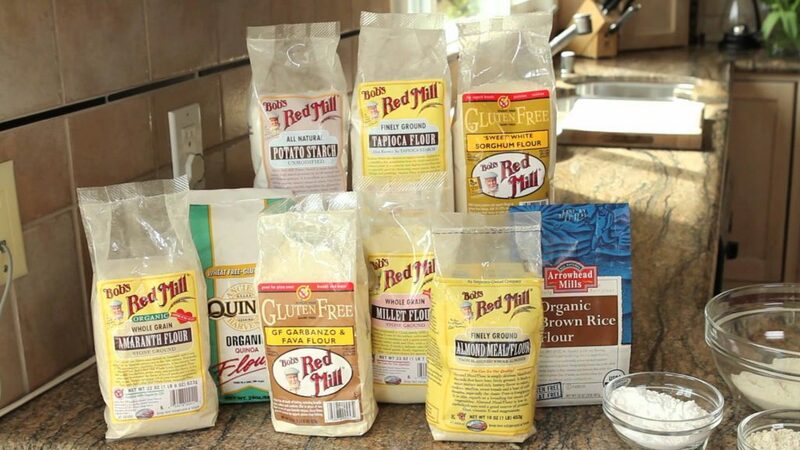 Even though it is allowed in the case of an autoimmune paleo diet, note that this flour is richer in carbohydrates, 78 grams per cup, and 4 grams of fiber. Moreover, if you are buying it from a grocery store, make sure you boil the root as in its raw form, it may cause cyanide poisoning. Also, the sweet variety has less hydrogen cyanide then bitter alternatives. Also, some people may be allergic to this plant, and according to the American Cancer Society, people with a latex rubber allergy might be more prone to this allergy as well.